Samsung has expanded its lineup of Galaxy S9 and Galaxy S9+ smartphones by adding two new color variants into the mix. “People want to be able to express their style and personality through their technology and color is a big part of that personalization,” said Younghee Lee, CMO and Executive Vice President of Samsung Electronics. The two new colors - Sunrise Gold and Burgundy Red - join the existing roster of Midnight Black, Titanium Gray, Coral Blue, and Lilac Purple. Unfortunately, at this stage, only one of the two colors is confirmed for the Australian market. 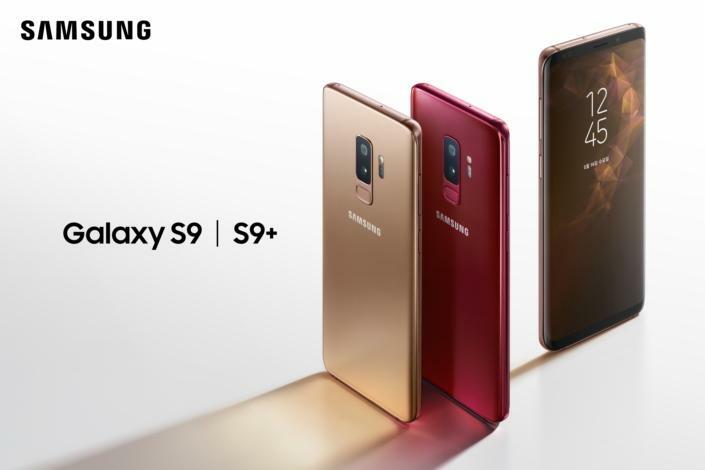 Samsung say the Burgundy Red edition will be available in Korea and China starting in May while Sunrise Gold will also be available starting in June in select markets including Australia, Chile, Germany, Hong Kong, Korea, Mexico, Russia, Spain, Taiwan, United Arab Emirates and Vietnam. In our review of the Samsung Galaxy S9+, we said that "With the S9 and S9+, Samsung swing their engineering talent, brand power and their overall focus back towards the camera side of the equation and, while the results of this pivot aren’t by any means poor, the whole thing does come off as a little predictable.